Safer Internet Day is an EU wide initiative to promote a safer internet for all users, especially young people. It is promoted in Ireland by the PDST Technology in Education and Webwise, and is celebrated in Ireland on Tuesday 7th February 2017. 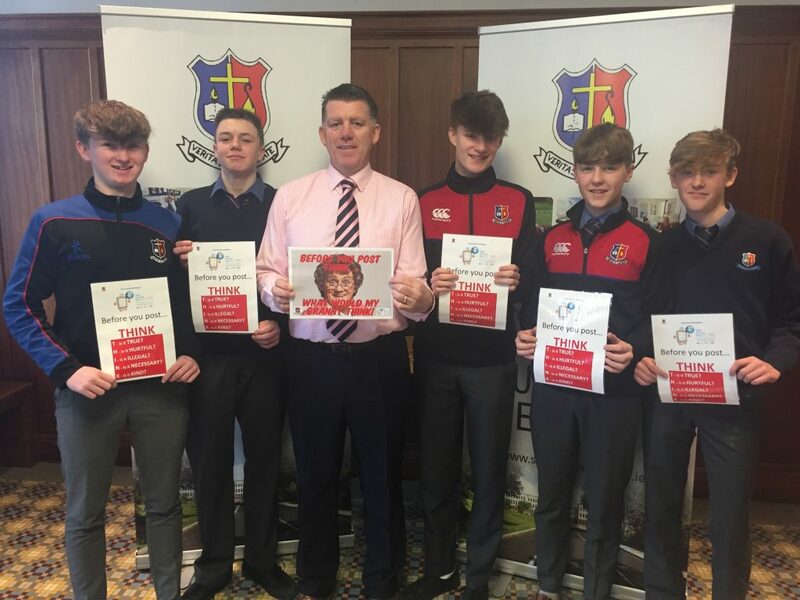 St Munchin’s College is delighted to be part of this initiative. We have put together some resources specifically aimed at parents & guardians. We hope that you will find these useful and that they will provide a support to you as we work together for a safer internet for our young people. Do know who can access your personal information. Many sites allow you to decide which parts of your profile can be accessed by others. Assume that everything is public unless you are sure that it isn’t. Opting for private doesn’t always mean that only your friends can see your profile. In some cases it means that everything you put on your profile can be seen by everyone but only your friends can post comments or IM you. Don’t assume everyone you meet online is who they appear to be – The fact that certain websites claim to connect students from the same school means nothing. The information provided by users when they are registering is not checked. Anyone can create a user profile pretending to be anyone else. Moreover, anyone regardless of their real or pretend age can join as many school communities as they want. Don’t post information that could be used to find you offline – without meaning to, you can give away information that could help someone to find you. Be careful of posting photos with things like car registration plates or identifiable landmarks in them. Avoid posting messages to blogs along the lines of “I usually walk home down the lane by the railway tracks”. There are some people out there who will piece together little snippets of information about you over a long period of time. Don’t reply to messages that harass you or make you feel uncomfortable! Even though you may really want to, this is exactly what cyberbullies want. They want to know that they’ve got to you and that you are worried and upset. They want to think that they are important by being able to get a reaction from you. Don’t give them that satisfaction, remain in control. 0 responses on "Safer Internet Day"